You know that feeling you get when you're in the park on the first warm day of spring, and a breath of air gently caresses the nape of your neck as you turn the last page of a particularly engrossing novel? Of course you don't! Your couch-slumping e-reader days will never be that romantic. Regardless of the setting, books continue to appear by the dozens (at least), many of which are worth your time and money. If you want to try curing some of that screen-induced attention deficit disorder, dive into these titles set to publish in spring 2017. Why we're excited: You know him as Thorny Ramathorn from Super Troopers, but Jay Chandrasekhar's career goes much deeper than the 2001 cult classic he directed (which has a sequel coming this year). The Broken Lizard founder offers anecdotes from life outside the current comedy-ruling crop of UCB and Second City products; it's not every day Colgate University cranks out a sketch comedy powerhouse. 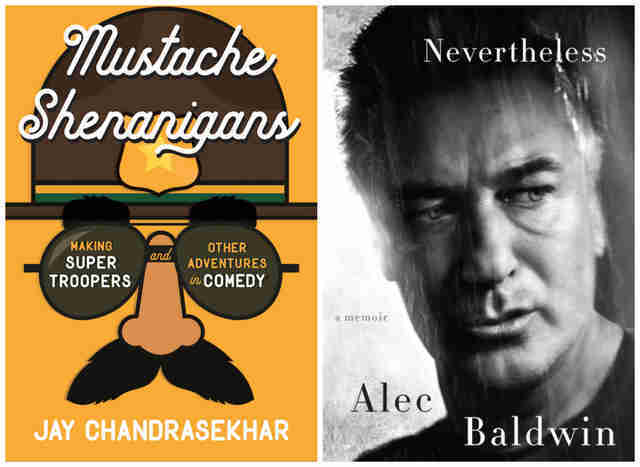 Why we're excited: Given fresh relevance thanks to his Trump portrayal on Saturday Night Live, Baldwin releases his memoir at the perfect time for maximum exposure. Whatever you think of Alec, can't everyone agree that this will be worth reading for all the Billy Baldwin bits? Why we're excited: Vegetarian lifestyles are becoming more and more familiar to Americans, in part thanks to a growing understanding of a truth vegetarians have known for a long time: losing meat doesn't necessarily mean losing flavor. Chitra Agrawal, founder of Brooklyn Delhi, comes out with a book of more than 80 recipes proving this truth, recipes which she says "are rooted in traditional South Indian Brahmin home cooking." Why we're excited: Elisabeth Prueitt, the chef behind San Francisco's Tartine (and creator of some insane Instagram foodporn) comes out with a collection of recipes for all meals, savory, and sweet. Prueitt, who has a gluten intolerance, helped bring gluten-free cooking and baking into the mainstream, but don't worry: The presence of cheesy garlic bread indicates there's something for everyone. 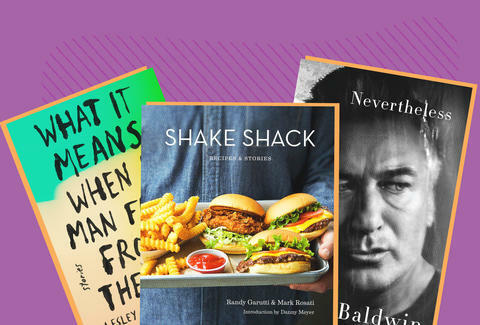 Why we're excited: I mean, come on, it's the Shake Shack cookbook. Your fries and shakes probably won't taste like Danny Meyer's, but the pursuit of perfection is more important than actually achieving it. 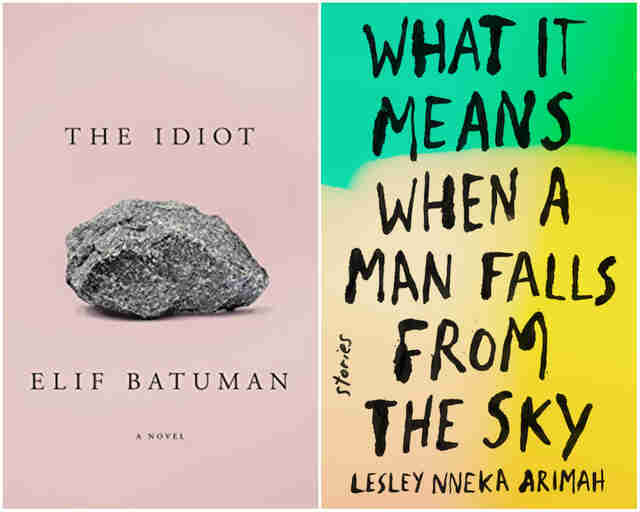 Why we're excited: Like other authors on this list, Batuman embodies the multi-platform, digital-print hybrid life of a contemporary writer, maintaining a Twitter presence, appearing in outlets like The New Yorker and n+1, and writing books. This makes her an appropriate voice to reference Dostoyevsky, who in the mid-19th century helped push literature into the modern age. The Idiot, her first novel, takes place at Harvard in the '90s, just before the internet became the relentless ubiquity it is today. Why we're excited: Arimah's debut takes its name from a short story published in 2015, when her bio read, "If she could just get off Twitter, Lesley would complete her novel and collection of short stories." Well, she's still on Twitter and will publish this collection, so she must've figured it out. This is to readers' benefit, as Arimah's stories bring a perspective more and more common in a global society: that of a nomad uncertain where home is. 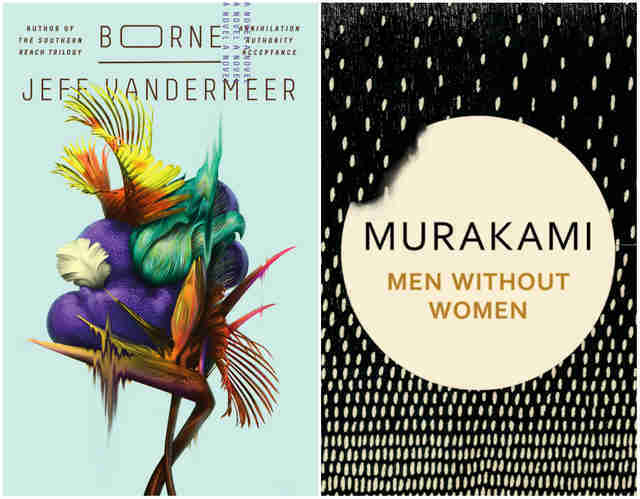 Why we're excited: The New Weird master who penned the Southern Reach trilogy returns with Borne, a post-climate-change novel about a biotech experiment acquiring consciousness. Those who prefer their science fiction with a literary depth will enjoy VanderMeer's treatment of a B-movie concept. Why we're excited: It must be the year to publish books with titles that have been used before! In the hands of a lesser writer, a collection of stories about men... without... women risks veering into chauvinist territory. Fortunately, Murakami isn't a lesser writer. The perpetual Nobel candidate (Norwegian Wood, Wind-Up Bird Chronicle) plumbs the depths of loneliness, and the often strange strategies humans adopt to fight it. Yes, there will probably be cats. Why we're excited: The celebrity astrophysicist (hah!) certainly knows how to give people what they want. In the tradition of Stephen Hawking's classic, A Brief History of Time, deGrasse Tyson's accessible writing aims to change your view of the universe, quite literally. At the very least, you'll sound way smarter at the next party you attend. Why we're excited: Bartholomew's father was a bartender at legendary New York City dive McSorley's -- known for, among other things, serving only two kinds of beer, light and dark -- so anyone interested in the city, beer, or the infinitely mutable ideal of "Old New York" will likely find at least a few appealing stories in this memoir. Why we're excited: It's like your mom retorted when you told her you were bored: Read a book! Now that you're older and more meta, you can read this book about boredom, a phenomenon which seems to become paradoxically more prevalent with each advance in on-demand entertainment.